When most people think of parasitic worms infecting animals, they think of cats and dogs — they do not generally think of birds. However, as living creatures, birds are susceptible to worms, too. They may not be as susceptible to the parasite, but they are susceptible nonetheless. If you own a bird or birds, it is important to know what to do if your bird has worms and, better yet, how to prevent the gross condition from cropping up. Use this guide to educate yourself on which birds are most vulnerable, what risk factors increase a bird’s odds of contracting worms, how to know if your bird is infected, and what to do if it is. You may have heard that birds that routinely come into contact with cement floors are most likely to get worms, or that captive Hawks or Falcons are particularly prone to parasites, but the truth is that no one species is more at risk than others. If a bird has a gut, it can contract a parasite. This is even true if the bird is a solitary bird that never ventures outside of its cozy cage. Worms are spread very easily from bird to bird, mostly because worm eggs are extremely hardy and can survive for years without a host. When eggs do find a host, they come “alive” and wreak havoc. Eggs are spread through infected birds’ droppings. Once a bird defecates, the eggs spread throughout the environment and cling to anything nearby. This can include leaves, branches, feathers, or even dust. Eggs become infective after 14 days in an environment, and so long as they are in the right environment, they can survive for years after initial implantation. Birds in cages are not immune to worms, as infested objects are usually brought to them. For instance, if you bring your bird branches, leaves, or foliage from outside, you may unwittingly expose them. You may also expose your pet if you introduce a new bird to its environment. Because of how easy it is for birds to contract worms, bird owners should invest in deworming products. Vet Products Direct sell bird worming products for cheap and in bulk for your convenience. Unfortunately, it is difficult to tell if your pet is infected, as even birds who have a large number of worms within their stomachs show no outward signs of infestation. When the worm population does decide to explode in population, it can cause your bird to become stressed. The health implications at this point are usually pretty severe and often result in death. For this reason, you should take measures to reduce your bird’s risk as much as possible, including giving it deworming medications at appropriate intervals. Some less severe signs of infestation include weight loss, lethargy, ruffled feathers, and poor feather condition. The only real treatments for worm infestations is prevention and regular deworming. Veteran bird owners know to deworm at the beginning of every season and to maintain rigorous worming schedules. Breeders need to be particularly vigilant, as most worm deaths occur in the young. If you plan to introduce your pet to a new bird or objects from outside, go through the deworming course once more. Also, make sure that the new bird is also dewormed to prevent cross-contamination and the possibility of an infestation once the medication wears off. Birds, like all animals, are susceptible to worms and other parasites. However, because of how small birds are, an infestation can be more than uncomfortable — it can be deadly. 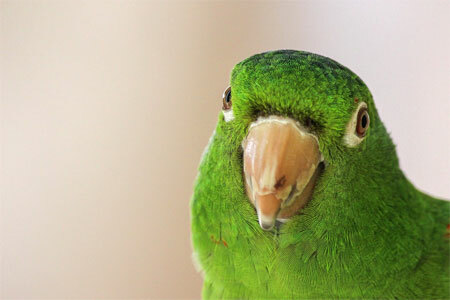 Protect your feathered friends by investing in the right worming products and maintaining a strict deworming schedule. Your vigilance could help keep your pet safe and healthy.